Natalia Tena has been added to the 2018 Celebration of Harry Potter guest lineup! She’s joining Stanislav Yanevski, Bonnie Wright, James Phelps and Oliver Phelps for the three day event that’s sure to be as amazing as the four previous years! 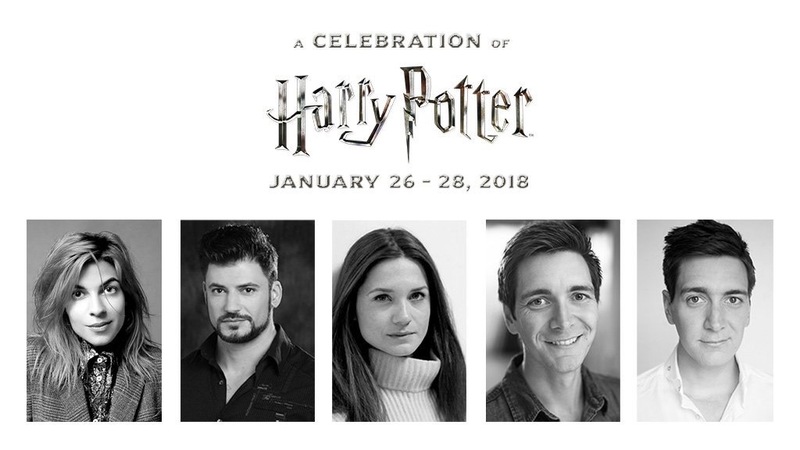 The actors will be participating in panels, autograph and photo sessions and may make special (surprise) appearances at the Harry Potter Expo during the course of the weekend! At A Celebration of Harry Potter™, you’ll have the chance to see some of your favorite film talent. Plus, enjoy interactive question and answer sessions to discover what it was like to work on one of the most successful film franchises in history. Thanks to Survival International for mailing. Since we will not have our actual photos and videos up for a few days I thought I would let everyone know what is coming from the Grand Opening of Warner Bros. Studio Tour London – The Making of Harry Potter. Myself, Feltbeats and Harry Potters Page worked together to get photos and interviews with the stars. We interviewed Tom Felton, Rupert Grint, Bonnie Wright, Harry Melling, Nick Moran, David Bradley, Nick Dudman, Mike Newell, Director David Yates, and Producers David Heyman, and David Barron. We also have footage of Alfonso Cuaron, Evanna Lynch, George Harris and a few others. In addition to interviews we also spotted David Thewlis, Natalia Tena, Warwick Davis, Alfie Enoch, Helen McCrory, Chris Rankin. Just as a teaser we asked Harry Melling (Dudley) what it was like moving from playing a muggle in Harry Potter to a wizard in the last series of Merlin! Photos and video will be up as soon as possible when I get home! We will also have a video from the press conference held last Thursday when WB sends it over! So make sure to stay tuned! Today we have been sent the trailer for the first book in the Trylle Trilogy book series, Switched, which will be released on January 5th 2012 in the UK. The Trylle Trilogy was written by the self-publishing phenomenon Amanda Hocking whose eBook series took the internet by storm in April 2010. The previously unpublished author now boasts over a million online sales. The Trylle Trilogy will be published for the first time in print the UK in 2012, beginning with Switched which hits shelves on January 5th. Den of Geek have posted a new article where they interviewed Tom Felton, Julie Walters, Warwick Davis, The Phelps’, Bonnie Wright and Natalia Tena at the Warner Bros. Studio Tour London at Leavesden Studios. They all talk about the upcoming attraction and their favorite parts. Can you tell us which props won’t be on display on the tour because they’re on your mantle pieces? Oliver Phelps: They’re all there. James Phelps: Everyone wanted a wand, and we were hoping on the last day they’d see “You take that with you”. JP: But when all the bigwigs from Warner Bros were over we kind of “It’d be nice to have our wands wouldn’t it?” and they were like, “Yeah, it would be good wouldn’t it” but that was it. JW: That was the end of it. It’s an outrage. So, which is the prop or set that impressed you the most? Is it the wands? JW: The Weasley set of course. I wanted to live in it, it was like a home. It didn’t feel like a set, it was gorgeous, you couldn’t be on there long enough, the detail was enormous. Bonnie Wright: One thing I wonder if they’ll ever show, was in Stuart Craig’s office above his desk he had this great drawing, just plain paper and felt tip pen, the first time that Jo and he met to sit down and discuss, she just did a really simple, simple map, like Hagrid’s house, Hogwarts, lake, Quidditch Pitch. It was literally just her drawing of where she knew in her mind where it was all going to be. It was above his desk throughout the whole film. Warner Bros have sent over our special embed code for the Warner Bros. Studio Tour London: The Making of Harry Potter fansite exclusive webchat that is taking place TOMORROW, October 13th, at 3pm (BST) on to celebrate tickets for the tour going on-sale. Remember, you can ask questions starting at 2pm on October 13th on Twitter. Make sure to follow @WB_StudioTour and include the #WBStudioTour hashtag in your tweets.. There is obviously no guarantee that all questions will be answered because the chat is only for 30 minutes. There will be a mixture of Fansite and Twitter questions. So you can also post your questions here and I can try to get them answered, but once again there is no guarantee!